This sign is on Washington Street beyond the post office. This sign on behalf of Safford and Wirth is being used in a residential zone where the maximum size of a political sign is 4 sq. ft. This is considerably larger. it has been positioned very close to the traffic lane on outer Washington St. and is in the City right-of-way. 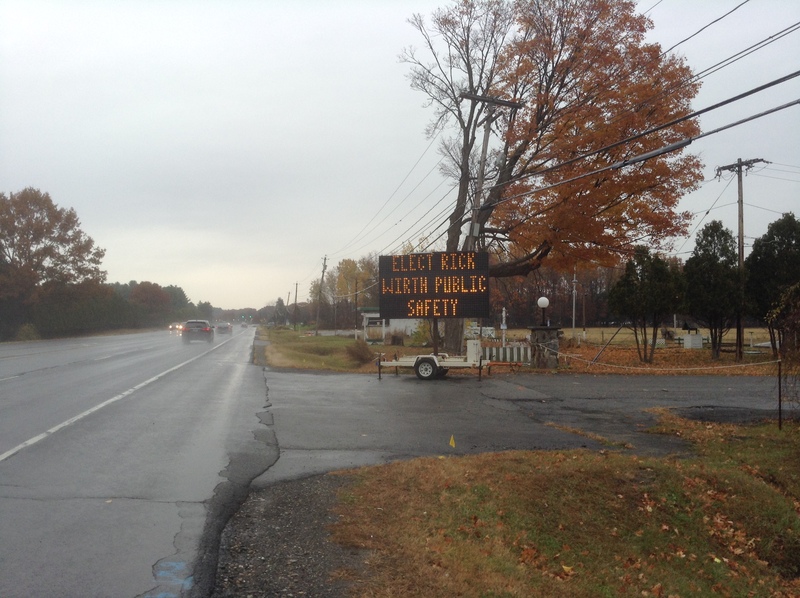 This sign is located on Route 50/9 and is much larger that the 16 sq. ft. that would be allowed in a commercial zone. 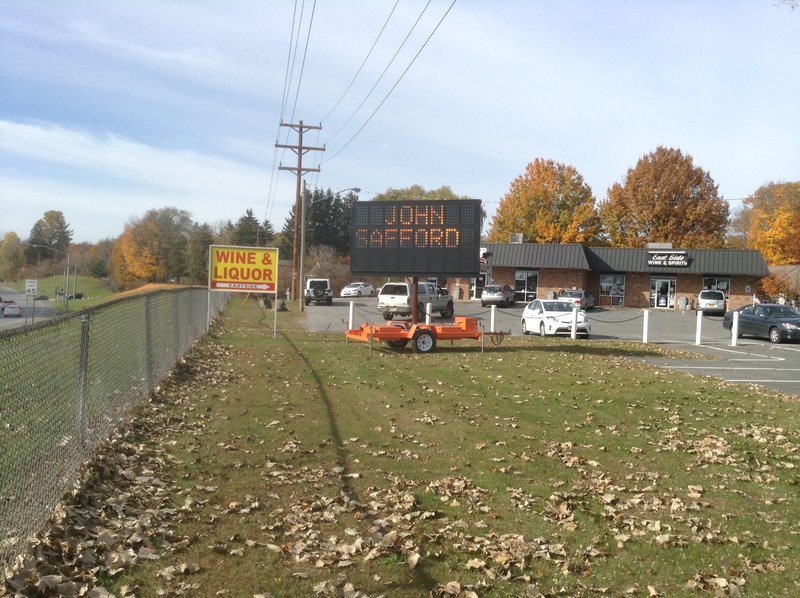 I sent an email to John Safford pointing out that the signs violated the city sign ordinances and asking him whether he was responsible for these signs. I did not hear from him. I went up on his Facebook page to post the same question and to make sure I had reached him. When I did I discovered that Chris Mathiesen had already posted there telling him that the signs were illegal. Mr. Wirth is running to become the Commissioner of Public Safety. One would think that he would be quite concerned that someone is violating the laws of this city on his behalf. Maybe he thinks that he will benefit from this as further proof of the current crime wave in the city. I just posted this to my Facebook page. 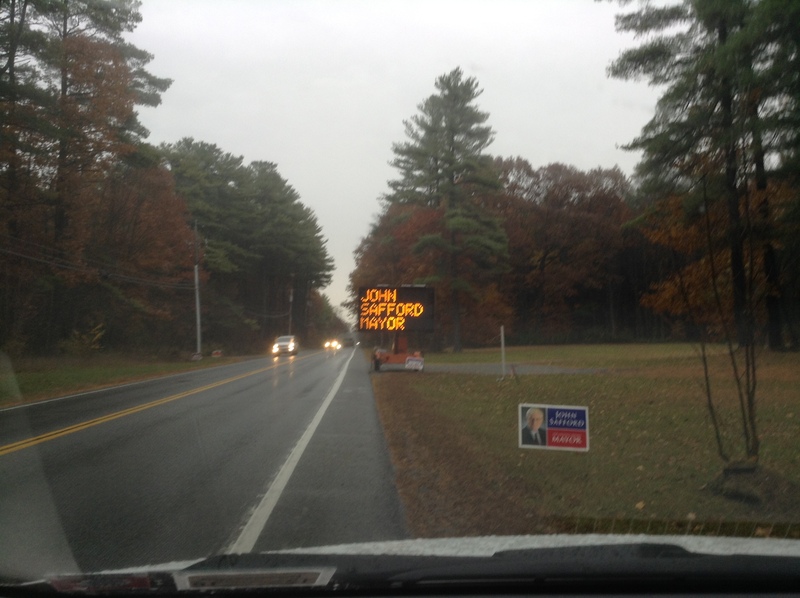 I have been receiving calls from media asking my opinion on the electronic signs that have appeared along the main streets of the city. I have responded that I have no idea who put them up and, frankly, have been flattered that someone thought well enough of my candidacy to support it in such a creative way. However, it has come to my attention that they might be in violation of some city ordinances and if they are, think that they should be removed. Thanks, John, for your query of Mr. Wirth, who claims to be a private investigator yet has no interest in following up on criminal activity that benefits him. More proof that he os unfit for public office. I was very confused when I saw those signs. I had the impression that that form of communication is ONLY used by municipalities. It seems that the PAC was behind it and, if so, that is super dirty politics — breaking the law in fact – and they should be fined.